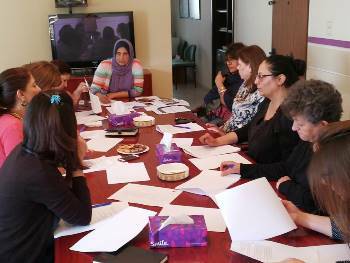 MIFTAH recently held a meeting, which brought together a number of women leaders, activists and civil society representatives who had participated in MIFATH’s study tour to Tunisia at the beginning of May. The tour was aimed at learning about the course of civil and women’s action in integrating the women’s agenda in the 2014 Tunisian constitution. The participants discussed the appropriate work mechanisms that coincide with the Palestinian context in terms of participation and impacting the drafting of the Palestinian constitution in a way that guarantees the state’s civil nature and protection of women’s rights. The discussion was based on the mechanisms and pressure used by the women’s movement and civil society in Tunisia to ensure the civil nature of the state and its democratic and participatory foundations, in addition to justice between parties, ensuring clear lines that ensure equality, zero discrimination, protection of women’s rights and ensured measures to eradicate violence against women. The meeting confirmed the need to renew and work with tools that promote the interaction of citizens in supporting the role of Palestinian women within political factions and parties, whether at the national or general level. It also stressed on supporting the political participation of women through developing policies and programs that promote awareness in Palestinian society towards political participation for women in a way that guarantees their protected rights in laws and legislation. The meeting hosted constitutional legal expert Dr. Sana’ Sargali to help the participants clarify their visions and approaches for impacting and changing the constitution. She also presented them with the available and legal possibilities for integrating the women’s agenda in the constitution. Recommendations from the meeting called for initiating a dialogue with women’s groups and parties on including the women’s agenda in the constitution and on expanding the scope of networking and building alliances to include the various social sectors from civil society institutions, PLC members -- women especially -- and academics from local universities. They also reaffirmed the need to step up action in the field with popular bases with the goal of creating social awareness to support the principles of justice, equality and zero discrimination in the Palestinian constitution. They reaffirmed the role of the women’s movement in taking practical steps that would guarantee the preparation of an exclusive document for Palestinian women with consensus over mutual issues and on the basis of Palestinian women’s rights. This document would be presented to the constitution drafting committee in Palestine and a discussion would be initiated with the relevant parties and centers of power to consider it a reference for drafting the constitution. A number of the participants called for the need to implement the approach of social movements, which would require a degree of independence from the factions and a focus on societal action, all while stressing that the cause of women is the cause of the society and is not exclusive to them. In terms of the General Union of Palestinian Women, the participants reaffirmed its pioneer role and the need to form a unifying and comprehensive framework that would promote this role and the union’s strengths. 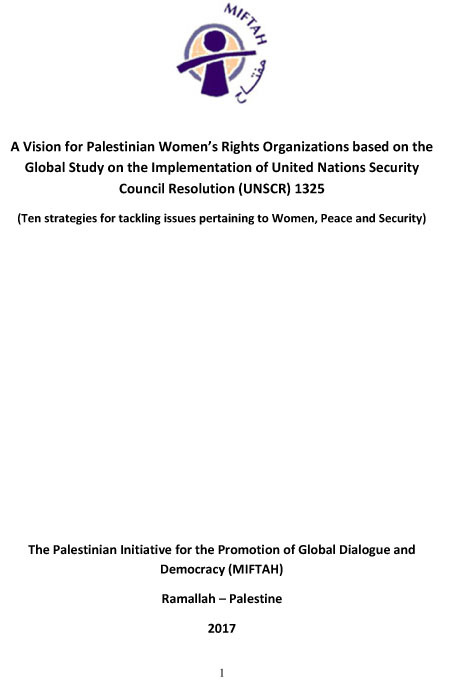 They also pointed to the need to reestablish a unifying women’s discourse that would reflect the diversity of women’s participation in Palestine, to promote the union’s efforts in raising awareness regarding the Palestinian Basic Law, and provide knowledge of certain terms pertaining to the constitution. They also agreed on the need to promote the role of the media in being involved in the dialogue about integrating the women’s agenda in the Palestinian constitution and in interpreting the Basic Law from the angle of women’s rights. It should be noted that the meeting adopted the mechanisms used by women in Tunisia for including the women’s agenda in drafting the constitution in terms of a conciliatory women’s discourse, involvement of civil society in the process of change, prompting the principle of transparency with the media’s support, and stressing on the importance of approaching society with a consensual discourse agreed on by political parties and civil society institutions. MIFTAH is continuing its efforts to sponsor dialogue on the priorities of the women’s agenda and strategic interventions through coordination and networking with the relevant parties and centers of power. 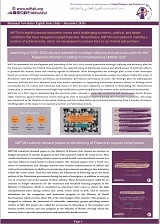 This offers solid ground for presenting practical suggestions that reflect the priorities and aspirations of Palestinian women regarding protection and participation and provides them with social awareness to support Palestinian women’s issues.